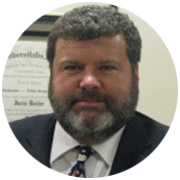 Arthur Smith is an experienced trial lawyer in both state and federal courts in the areas of negligence, labor law, toxic torts, products, premises and automobile liability. Mr. Smith is admitted to the United States Supreme Court, various Federal Appellate Courts including the Second Circuit Court of Appeals, as well as the state and federal courts in New York. He serves on the Executive Committee for the Torts, Insurance & Compensation Law Section of the New York State Bar Association. Additionally, Mr. Smith lectures extensively. Most recently, he served as Chair of the Torts, Insurance & Compensation Law (TICL) Section of the New York State Bar Association for their semi-annual meeting, which was held in Killarney, Ireland. Previously, he has served as the Chairperson of a New York State Bar Association Seminar on Labor Law and Construction Accidents, and as a speaker for the New York State Bar Association on topics including Construction Accidents, Premises Liability, Evidence, Trial Tactics, Insurance Coverage and Ethical Obligations of Counsel. Mr. Smith was also a lecturer on “Serious Injury “ and “Negotiation Strategy” at the Buffalo Claims Association’s (BCA); Premises Liability at the 2005 Annual Convention, served as “trial counsel” for the mock trial presentation at the BCA 2003 Convention, and lectured on “Grave Injury” at the 2002 B.C.A. Convention and on Labor Law at the B.C.A.’s 2000 Annual Convention. Mr. Smith addressed the 2007 New York State Association of Independent Insurance Adjusters Annual Convention and has lectured for the New York State Trial Lawyers Institute, The New York State Trial Lawyers, The Bar Association of the City of New York and served as judge at Fordham University’s Moot Court and Trial Advocacy contests.